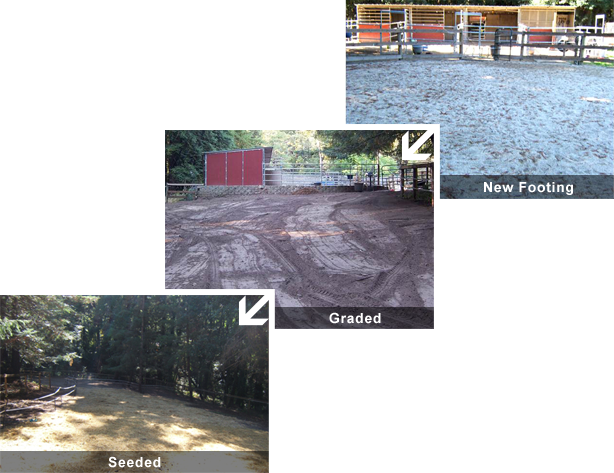 Through a voluntary and non-regulatory approach, the Livestock and Land program has provided cost share assistance to equestrian and livestock owners and boarding facilities who wish to implement projects on their property that improve water quality. Demonstration sites serve as living examples and a valuable resource to the community. They provide the opportunity for people to discuss and view the implementation process, installation techniques and real life accounts of the project successes and/or challenges. 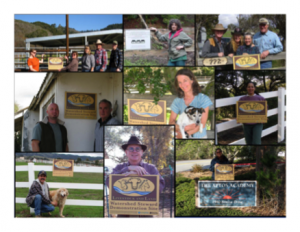 To date we have over 40 Demonstration sites throughout the Central Coast of California. If you would like to schedule a visit to a site, have questions for the property owners or would like more information on how you can apply to become a demonstration site, please contact us at 831-426-5925. This program is completely voluntary and non-regulatory. Although there are over 74 recommended practices from NRCS alone, the following list addresses a simplified overview of typical BMPs implemented. 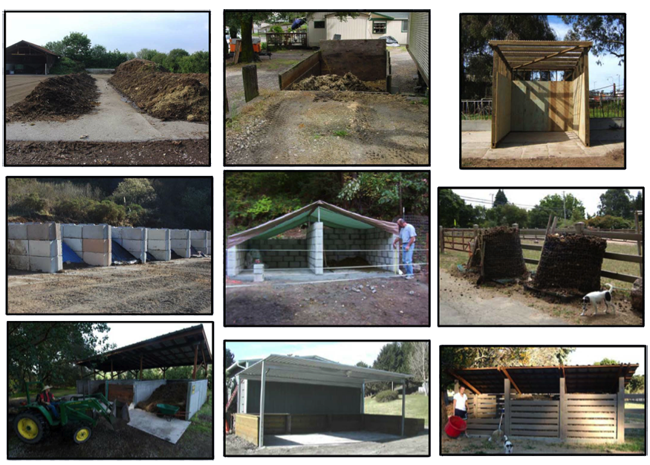 Manure bunkers, composting bunkers, windrows systems, manure hauling/management comes in all different shapes and sizes. 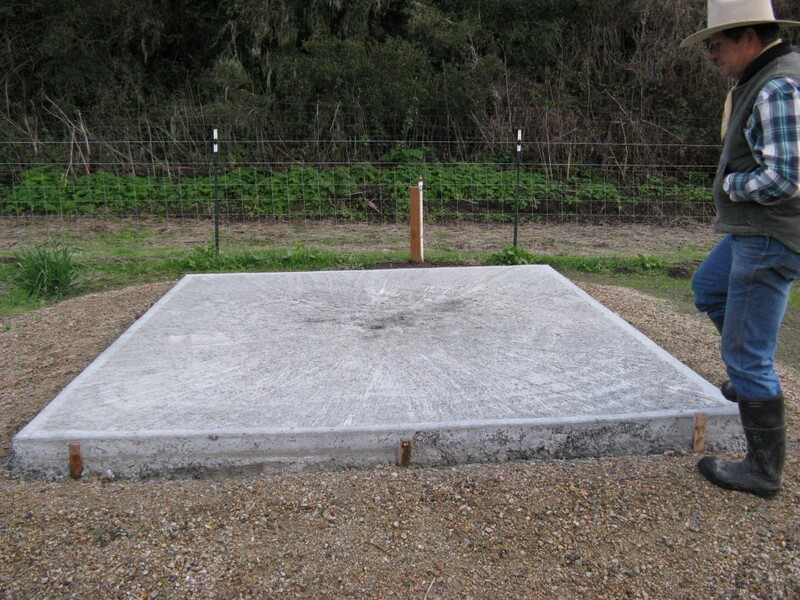 A variety of materials can be utilized including cinder block, wood, concrete, tarps, recycled poly lumber, pre-cast concrete blocks, etc. 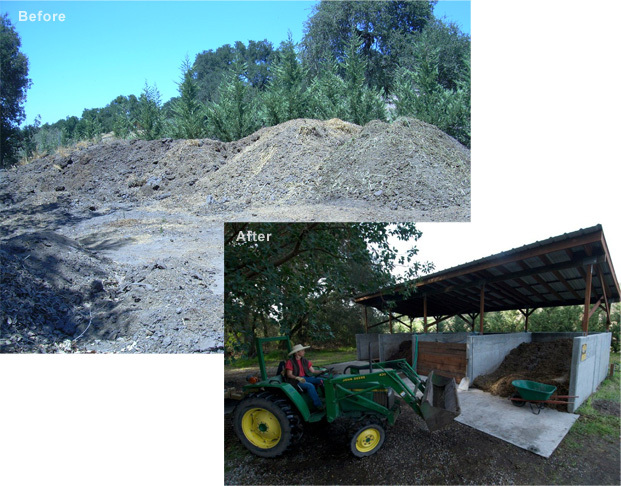 It is recommended to have manure stored on a non-permeable surface, such as concrete, with some sort of cover. to water coming off the adjacent hillside from flooding the paddocks. 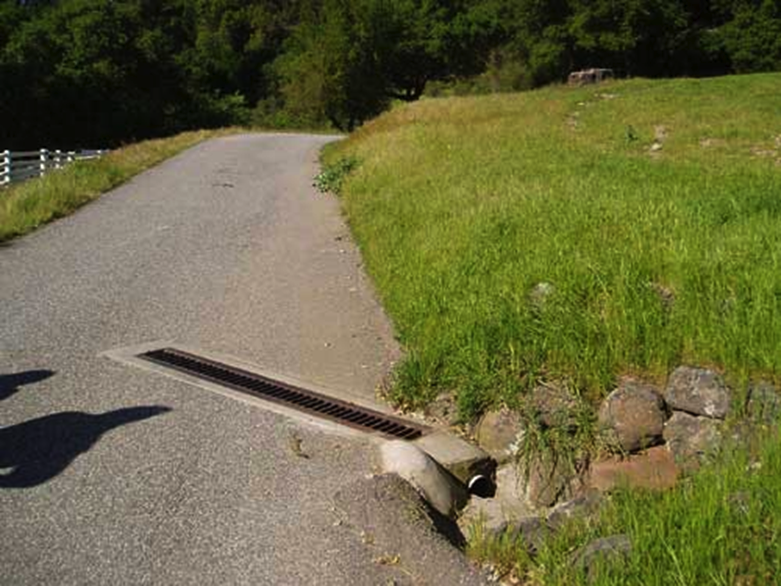 Installing raised grates over drain pipes helps to keep them from clogging. 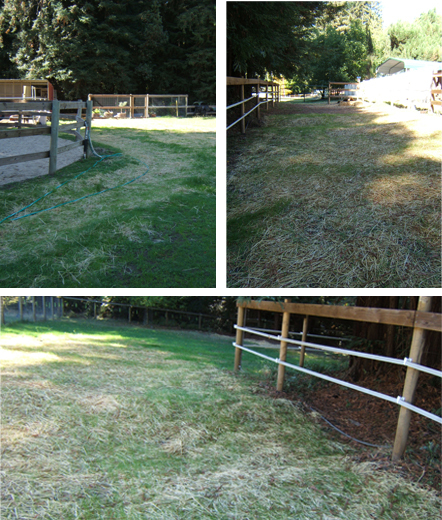 Cross fencing can be utilized to divide a pasture area in half to allow for rotational grazing of the area. This will allow pastures to be more evenly grazed with less trampling, allow needed time for plant rest and re-growth and reduce unnecessary soil compaction from hoof action. 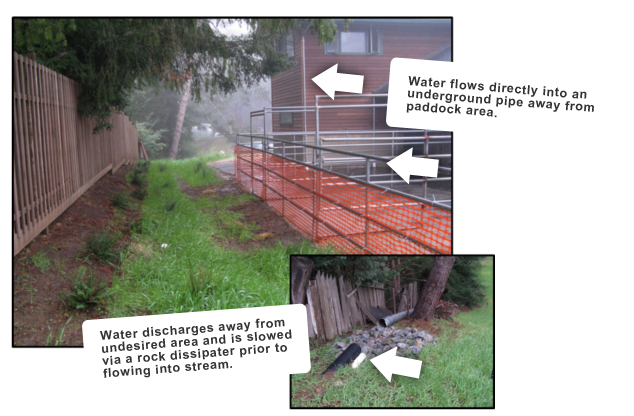 Exclusionary Fencing should be constructed along drainage ways to exclude animals from water ways and limit compaction. The direct deposit of manure into water can harm aquatic life. 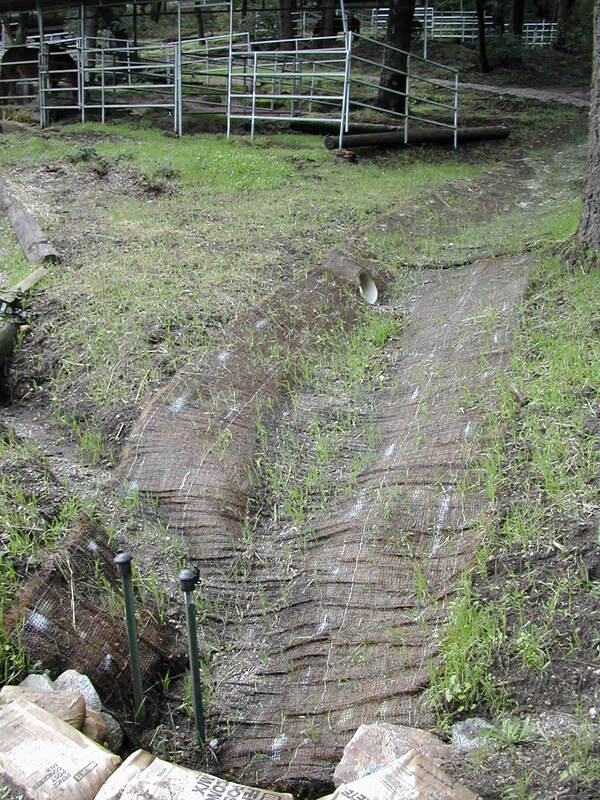 Trampling physically breaks down streambanks and destroys vegetative cover, which can increase sedimentation. 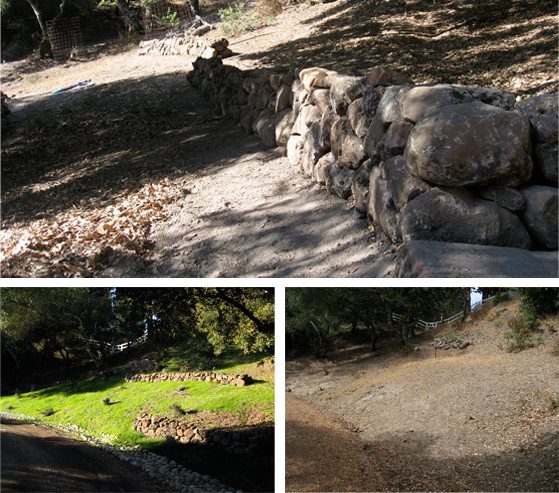 Design stream crossings to minimize erosion. 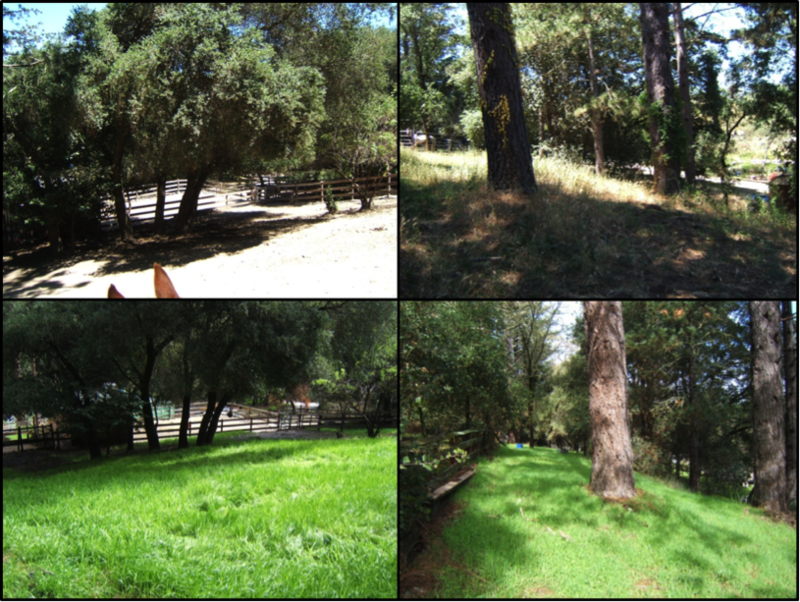 Exclusionary fencing and seasonal hand grazing of riparian corridors are possible management choices. Install and/or maintain roof runoff control systems on all existing and planned structures to prevent drainage issues and excessive runoff. 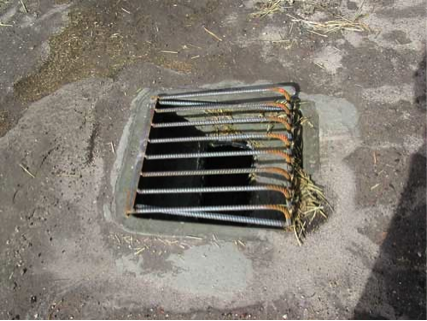 Install and/or maintain drainage control measures such as roof gutters on all paddock shelters to prevent clean runoff from entering confined livestock/horse keeping areas. is located at the base of the driveway. This slat drain was installed to capture driveway runoff. 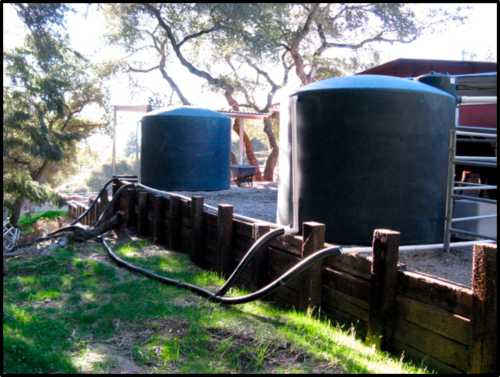 Rainwater harvesting conserves water, helps to decrease erosion from stormwater runoff and can be utilized to minimize demand leading to well water drawdown, maintain vegetation, adapted for fire protection, etc. 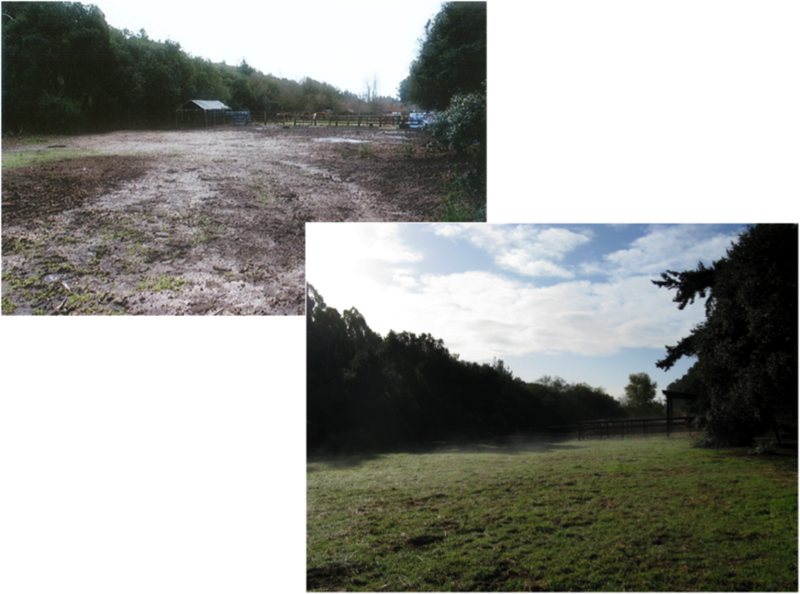 Pasture management should focus on protecting the pasture’s soil and vegetative cover. Prevent bare areas from forming. Reduce soil compaction, a porous soil improves plant vigor by allowing the infiltration of water, air, and nutrients. 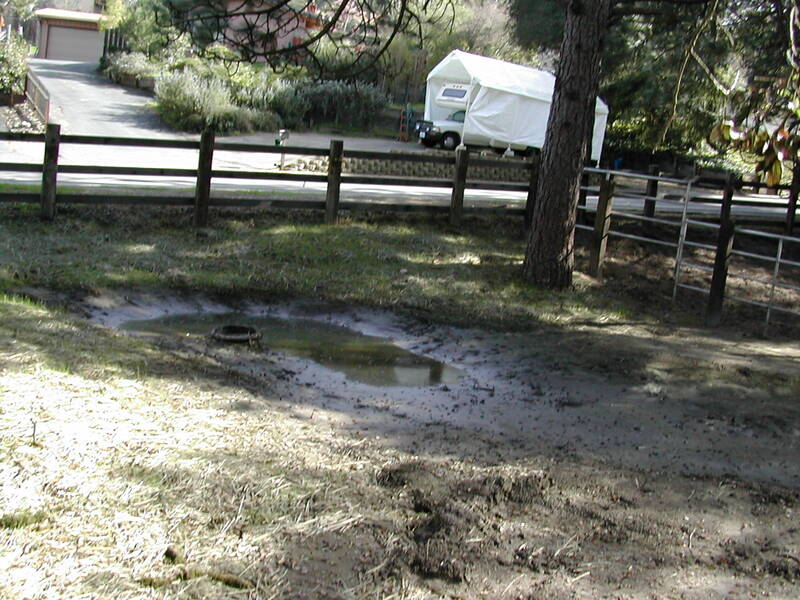 Hoof impact and machinery operation on water saturated land compacts soil particles and cause loss of porosity. Allow grass time for re-growth. Cross fence to divide pastures into smaller areas, which can be grazed in rotation. 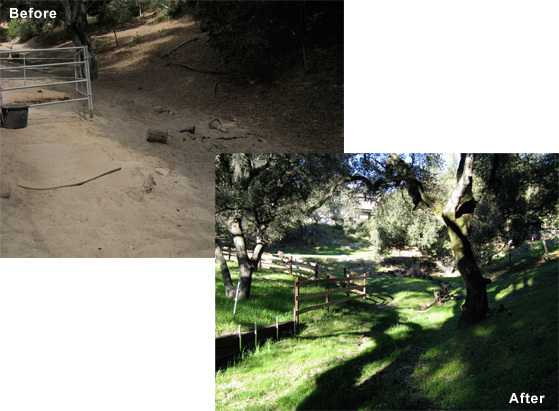 Inexpensive and moveable, electric fencing works well to define grazing areas. Maintain pasture productivity by controlling the number of horses and the amount of time they spend on a pasture. During the growing season, graze grass to a height of 3-4 inches and allow re-growth to 6-8 inches before returning horses to the pasture. 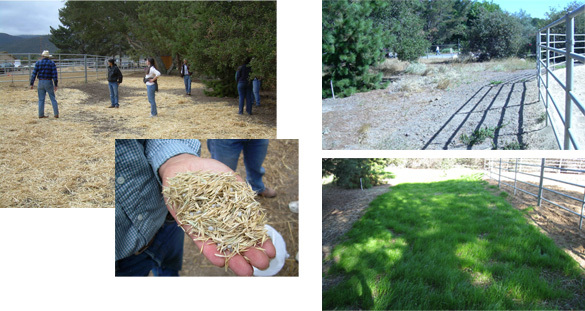 Manage grazing so that a cover of dry residual vegetation protects soil from the first rains. 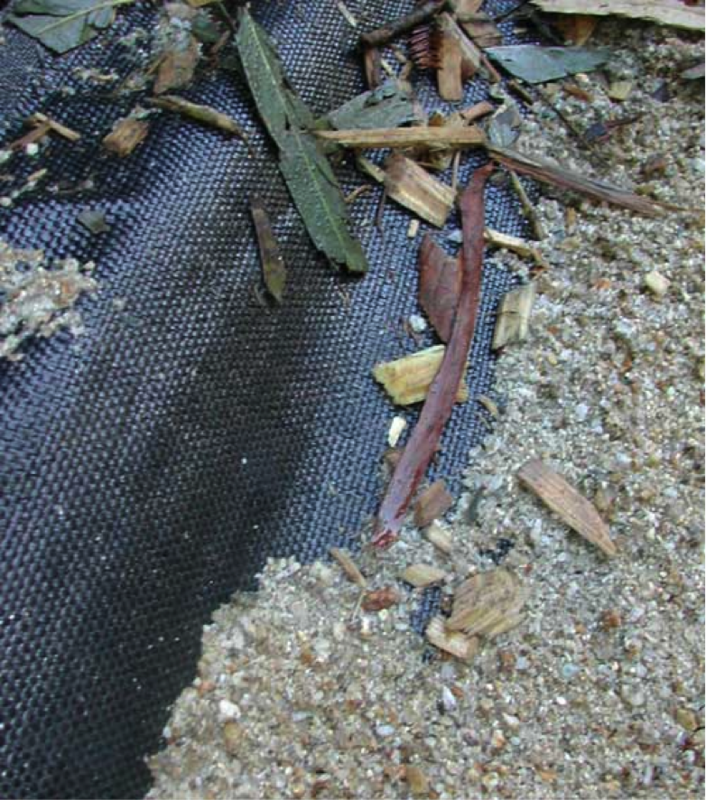 Utilize jute netting or an erosion control netting to stabilize erosive soils and re-vegetate problematic areas. Exclude animals from area if possible. Straw waddles can additionally be used to slow erosive flows of water. Giving up a small portion of land where animals are concentrated and no plant growth is expected is considered a Sacrifice Area. 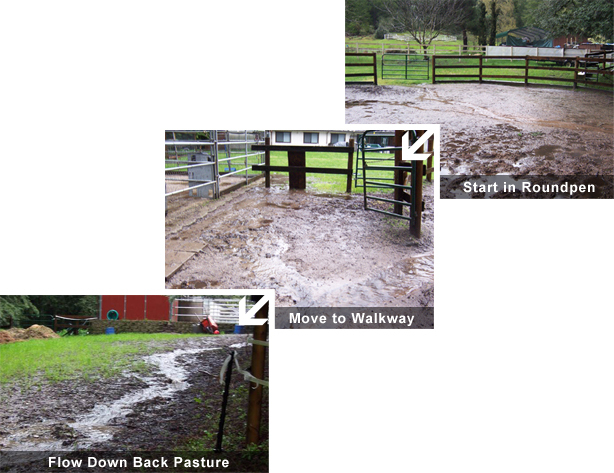 Horses typically are confined in stalls/paddocks during wet weather and will remain confined until the ground has dried. 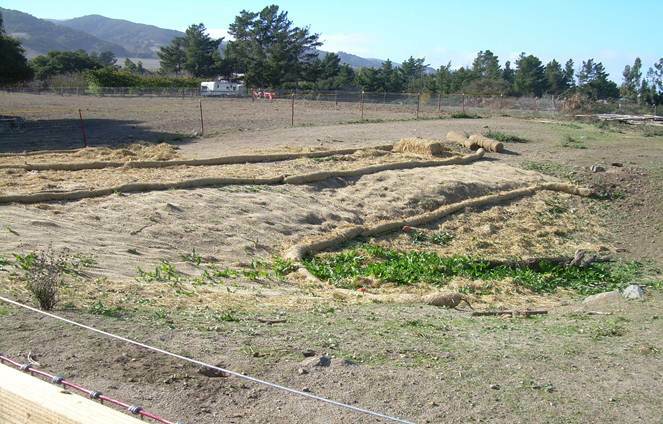 A single horse can be housed in a paddock 12’ wide by 24’ long. 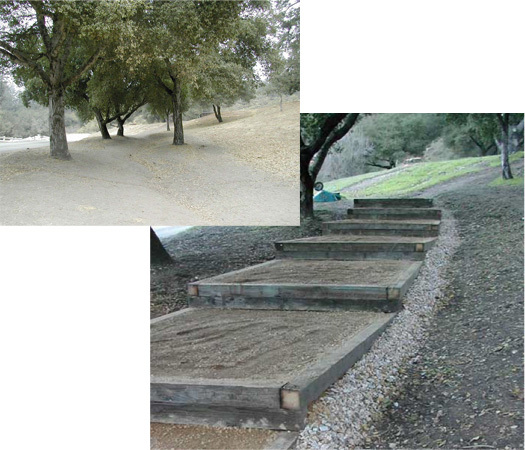 Grading a 2% slope from a three-sided shelter to an absorption pit improves drainage. 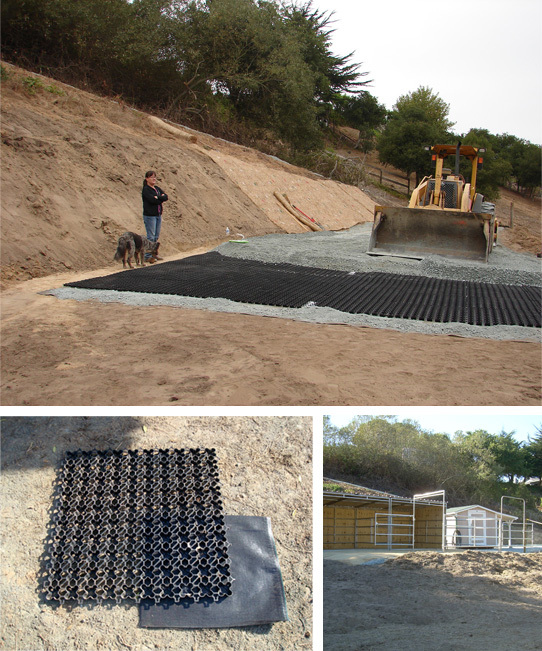 Use of geotextiles and geogrids can be utilized to increase paddock area performance and longevity. Installing a geotextile below paddock footing helps to prevent mud in paddocks. 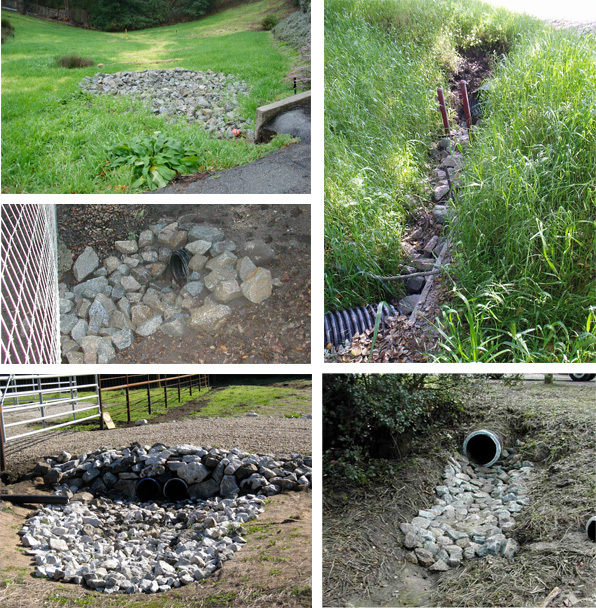 Placing rocks at a pipe outlet slows the water thus minimizing erosion. This is often referred to as a rock or energy dissipater. Slowing down water flowing down a hillside allows vegetation to re-establish and stabilize. This will reduce rills and washouts from occurring. The diverted drainage enters into the basin. Once the sediments settle out, the clean water empties into the vertical black pipe. Maintenance to remove excess buildup of sediments is needed from time to time. French drains can be useful applications to keep water from pooling and allows for water to be diverted and transported away from undesirable areas into filtered areas prior to entering waterways. staircase to reduce rainy-season erosion. Slow water down and divert flow back towards natural vegetated swales. Practice is also utilized on rural roads to prevent wash outs. 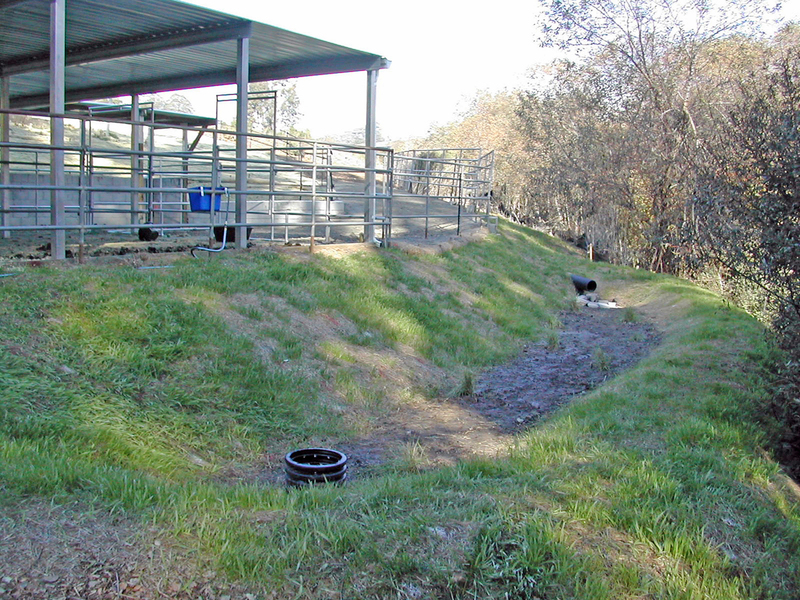 Prevent horse wash water from draining directly into waterways. 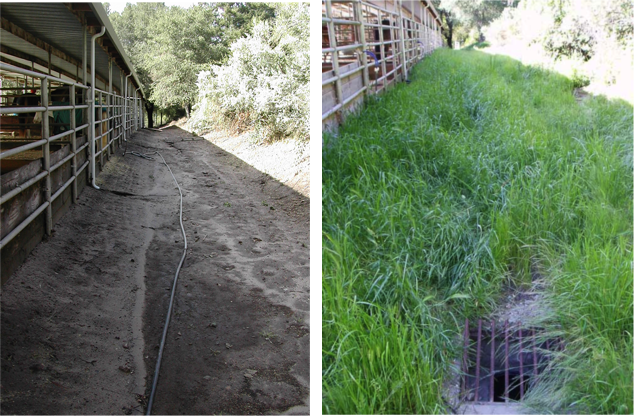 Use in combination with other Best Management Practices, like a vegetated swale, to filter potential contaminates prior to entering into a waterway. Minimize chemical use from horse grooming products, detergents, disinfectants, herbicides and pesticides. If possible use an “environmentally friendly” product. 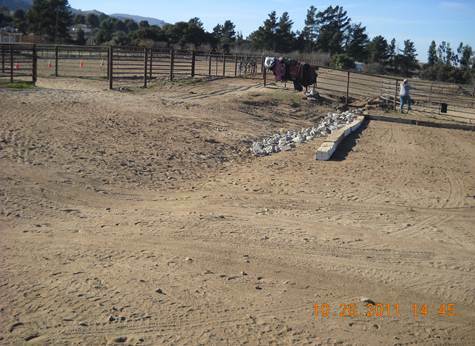 The paddocks were graded, compacted and new footing was lain. 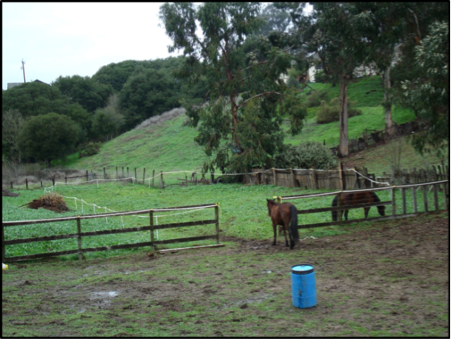 The Livestock and Land Program may have funding available for equestrian or livestock facilities seeking to implement Best Management Practices that improve water quality and are interested in becoming a demonstration site. 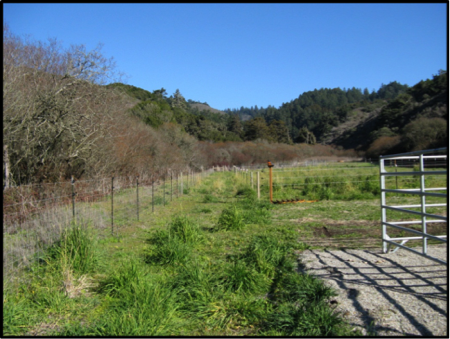 Program implementation is a collaborative effort between Ecology Action and implementing Resource Conservation Districts (RCD) throughout the Central Coast of California. Prior to submitting an application, check with your local RCD or Livestock and Land representative to find out if funding assistance is currently available in your area. 1. Fill out the attached application. 2. Contact your local RCD office (listed below) to schedule a site visit and request assistance with conservation recommendations specific to your property. These recommendations may be incorporated into your site plan, will identify potential projects and assist you with completing a Demonstration Site application. Funding assistance is currently available in south Santa Cruz and Santa Clara Counties and in San Benito County. Please, contact any of the following organizations below to verify current funding availability in their respective counties. Potential Demonstration Sites will be chosen, dependent upon available funding, from completed application packets returned prior to selected due dates (check with your local RCD for due dates). Application packets will be assessed by a Program Advisory Committee. 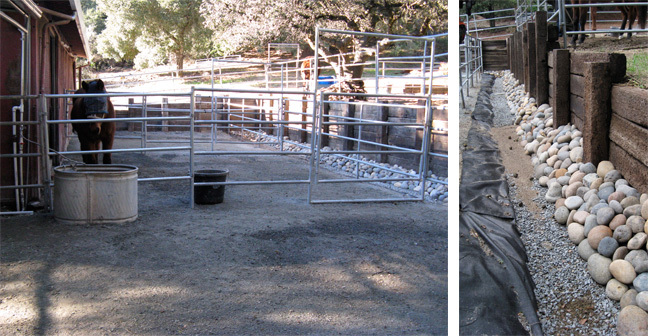 Criteria for selecting sites includes, but is not limited to: Potential for improvement with regards to degree of impact on water quality; Cost of needed improvements; Level of site owners monetary match; Level of visibility for fellow livestock owners; and feasibility of accommodating a small group on-site. Attempting to identify the best environment for the animals while lessening their impact on water quality, Technical Advisors will visit eligible sites to assess and prioritize needed improvements with site owners. Upon completion of site visits, Technical Advisors will meet with the Program Advisory Committee to develop a final list of properties to be chosen for Demonstration Site funding. Additional consideration will be awarded to individuals who have attended a workshop series. Property owners selected as Demonstration Sites agree to match a percentage of grant funds expended on site improvements. This can be achieved by labor, materials and/or cash contributions). Landowners must also allow program members (Technical & Stakeholder Advisors, Peer Leaders and other livestock owners) access to the site on pre-arranged dates & times. Property owners are responsible for obtaining any/all necessary permits.